In some ways, email marketing is more challenging than ever. People are suffering from inbox overload, and they are using tools to help filter and weed out annoying and unwanted messages. As a marketer, you must find a way to overcome these obstacles and stand out from the crowd, surviving any potential hurdles. Not only that, you must get your recipient to actually open and read your email—and feel good about your message. In short, you must become the sender of a message this person wants to see—a contact they like to hear from. That’s no easy feat, needless to say. There are several strategies you can use to try and help reach that goal. But perhaps one of the most effective is personalization. Now, there are many levels of personalization. Some businesses will simply do a mail merge process to insert the recipient’s first name in the email greeting and call it a day. While that’s certainly better than nothing, there is much more you can do to give your email a personal touch. First, you can segment your list and then tailor your message according to the characteristics of each particular group. For repeat visitors, you can track their pervious activity to see where their interests and priorities are, and then focus your messages around those elements. By asking some carefully planned questions, you can also obtain vital information that can help you learn a lot about that customer. This may include everything from their age to their income level or profession. Depending upon the type of interactions they’ve had with your company, you may even know things about their hobbies or interests. All of this can be useful in helping you decide how to craft the email: the wording to use, the visual elements and perhaps even some cultural references or nostalgic triggers you can include (when appropriate). This level of personalization shows you have taken the time to learn about your customers and understand what matters to them. The recipient may not even consciously be aware of these touches, but it will likely make them more likely to connect with you and have a positive feeling about your business. In addition to personalization, there are many other strategies that can help ensure a successful email campaign. 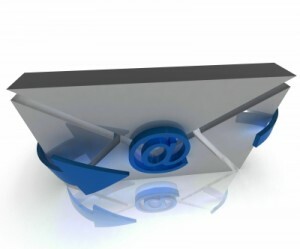 If you need help, we offer a wide variety of email marketing services.